Water is such a natural, open-ended resource and children’s desire to experiment leads to rich learning possibilities across the curriculum. Filling and emptying containers is a key fascination which needs to be fully resourced, as is the desire to find out about how water moves and reacts in different situations. 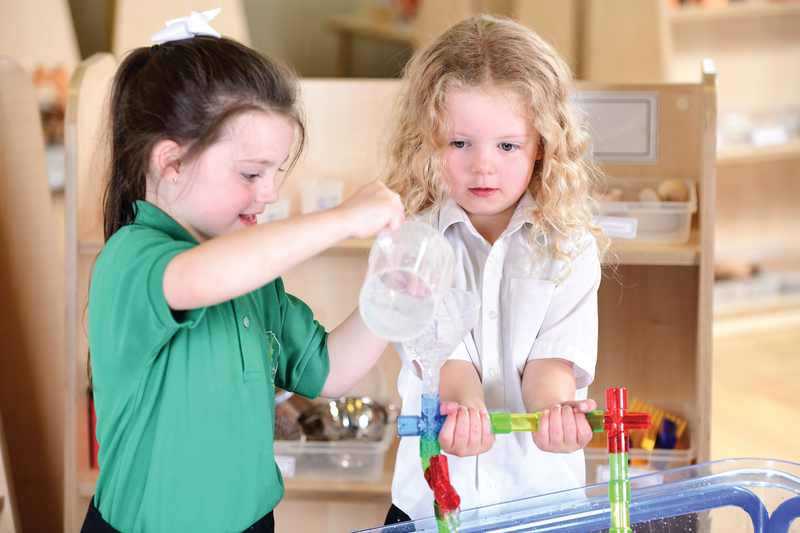 Our complete water area has been carefully chosen to build on experiences in the EYFS and will engage children in a wealth of imaginative, investigative and mathematical thinking. 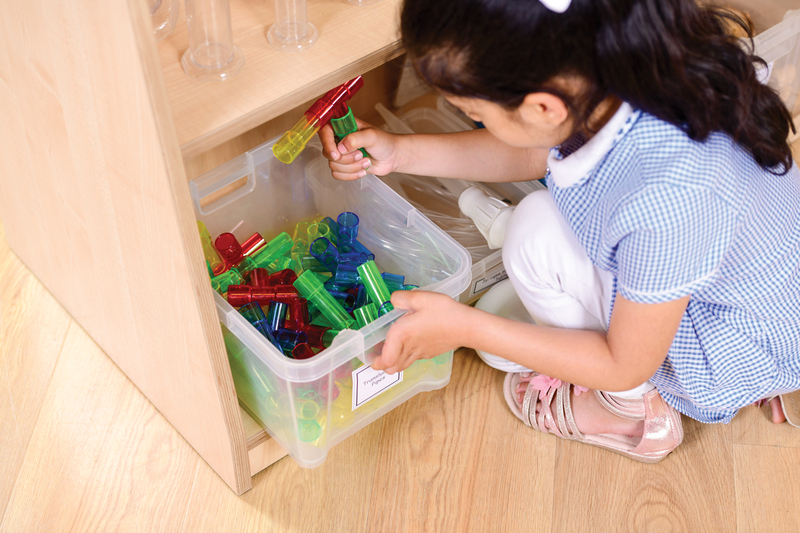 Pipes, tubes and measuring containers promote investigation and problem solving – and a good selection of small world resources further inspire imaginative play. 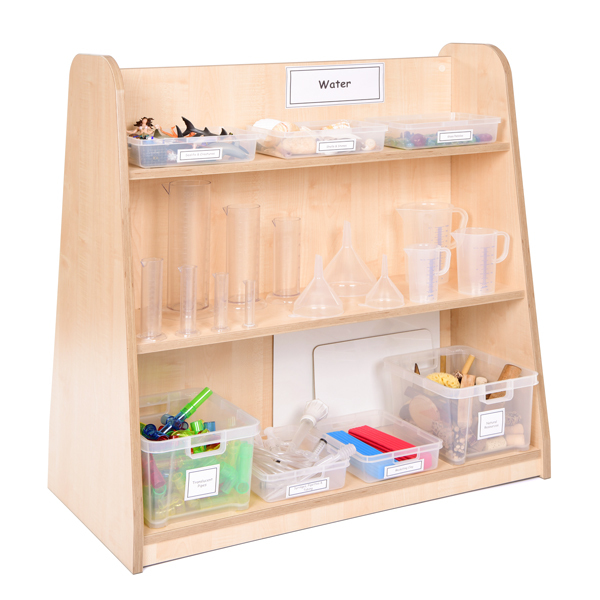 To enrich this learning for older children, use a set of graduated containers with standard measures for investigating measuring and volume. Translucent Pipebuilders – Set of translucent pipes in assorted colours including blue, green, yellow and red – Children can connect these translucent plastic tubes to create unique structures and investigate both water flow and sand flow. 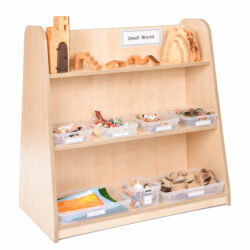 The pipes slot together and twist in different directions and promote problem-solving and cause-and-effect skills. Glass Nuggets Set – Set of 500g green, 500g blue glass nuggets and 5 colourful gemstones in a range of colours. Children can explore the weight of these small glass nuggets and watch as they sink to the bottom of their water tray or use these resources to set an underwater scene. Set of Sea Creatures – Set of 2 tropical fish, Octopus, Bottlenose Dolphin, Killer Whale, Great White Shark and Hammerhead Shark – In the deep oceans of the world, there are many different species of fish. Children can engage in story telling as they investigate water play. Set of Divers – Male and Female Scuba divers – Exploring the underwater world is full of excitement and wonder. What will these divers discover? 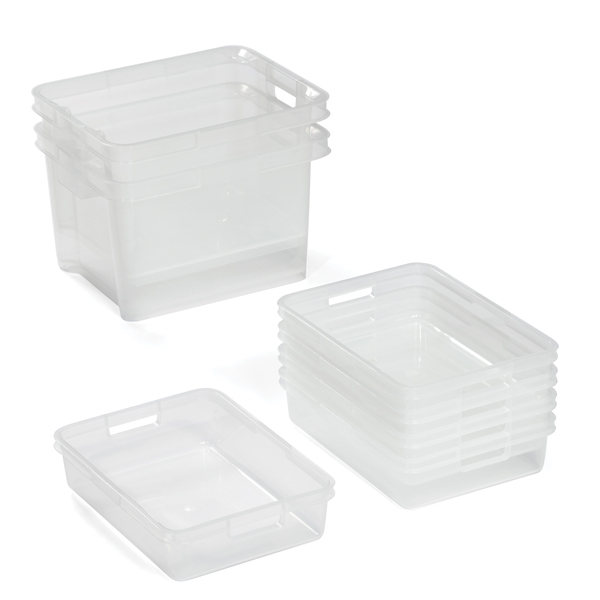 Set of 3 Graded Jugs – 250ml, 500ml and 1L jugs – Pouring from one to another, filling and emptying. 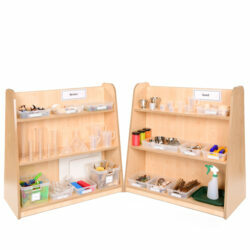 These jugs with spout help children make these actions smoothly. 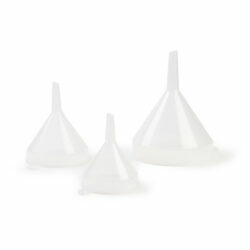 Set of 3 Graded Funnels – 7.5cm, 9.5cm, 13cm Funnels – In three different sizes, children can experiment with how to gauge filling and emptying containers. Set of Graduated Cylinders – Translucent containers for holding 10ml, 25ml, 50ml, 100ml, 250ml, 500ml and 1000ml of fluid. With pouring spouts and easy stands, these graded cylinders enable children to measure fluid and pour with precision and ease. Set of Pipettes & Syringes – 3 x small squiggly pipettes, 3 x large concertina pipettes, syringes in 5ml, 10ml and 20ml. Set of Transparent Tubing & Baster – large acrylic baster, 1m transparent water play tubing, 2.5m plastic thin tubing – inner diameter 3mm. Children will love investigating the movement of water through these clear tubes and with squeezy basters. 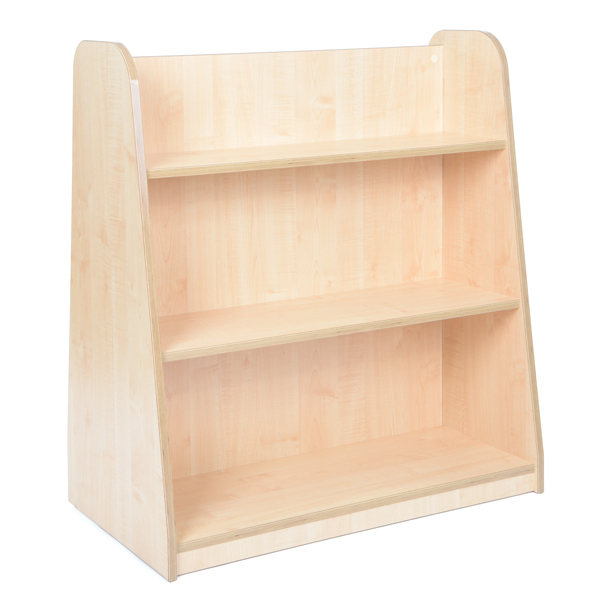 Coloured Clay – Includes two sticks of clay in a range of colours. Children can mould this clay into various shapes and investigate what shapes float and sink. Set of Whiteboards and Whiteboard Pens – 1 x A3 Whiteboard & 1 x A4 Whiteboard – One of each colour mini whiteboard pen in red, blue, black and green. 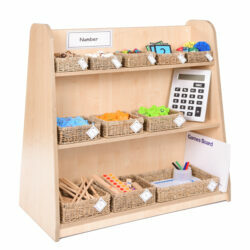 This set of whiteboards and pens enable children to record and tally information such as measurements, directions and water flow. 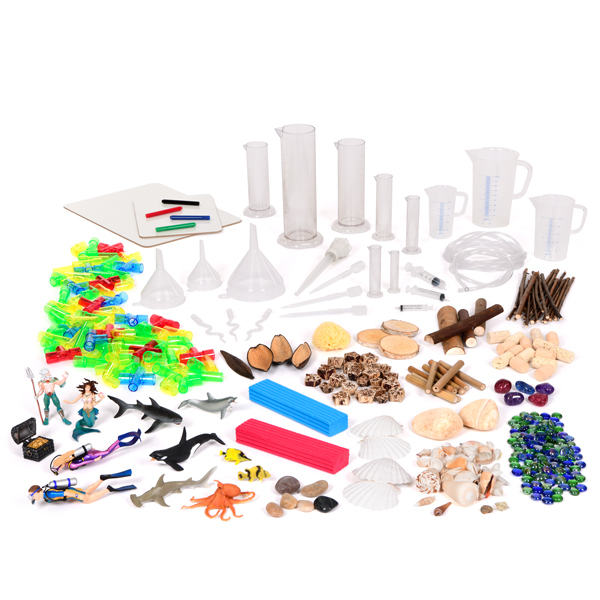 From low density materials such as cork tops and sea sponge and denser natural materials including stones and rocks, children can investigate water depth, floating and sinking. Cork Tops – 250g – Children can investigate how corks float and how they can be used within water play. Set of Shells – Set of shells including 4 x Cornish scallop shells and 2 x Cone shells. These beautifully patterned shells can be used to set a lovely beach scene.